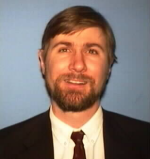 * Invited Speaker: Dr. Mark Greaves, Director, Knowledge Systems, Vulcan, Inc. Questions for Exams? VBisually or through Equations like in the Textbooks? its user community such as databases, Operating and other applications including COTS. JakubKotowski: Q for Dr. Greaves: could you elaborate a little more on the use of rules in Halo?